Greatly discounted! Last stock remaining ! 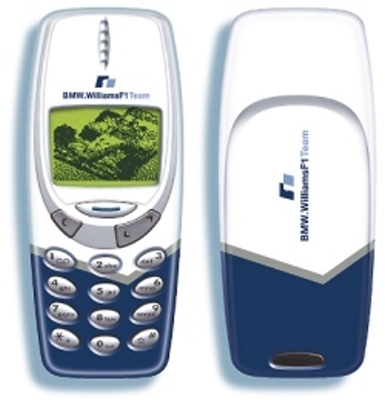 Official BMW Williams F1 Nokia 3310 & 3330 Phone Covers. Fits both the Nokia 3310 and Nokia 3330 model. Comes complete with a new set of silver keys. Blue / White design with with BMW Williams F1 logo on the front and back.